Performing arts thrive under the support and sponsorship of local community members and businesses. Choral Arts of Southern NJ is a not-for-profit performing arts organization. These generous sponsors have contributed resources that have been a crucial part of our success. Wells Fargo & Company (NYSE: WFC) is a nationwide, diversified financial services company with $1.8 trillion in assets. 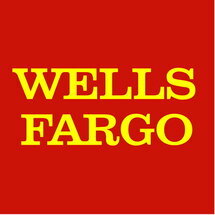 Founded in 1852, Wells Fargo provides banking, insurance, investments, mortgage, and consumer and commercial financial services through 8,700 locations, 12,800 ATMS, online (wellsfargo.com), and mobile devices. We're headquarters in San Francisco, but we're decentralized so every local Wells Fargo store is a headquarters for satisfying our customers' financial needs and helping them succeed financially. We do business with 70 million customers and one in three U.S. households. Wells Fargo has approximately 265,000 team members in 36 countries across our more than 90 businesses. At the end of third quarter 2015, Wells Fargo ranked fourth in assets among U.S. banks and was the world's most valuable bank by market capitalization. In 2015, Wells Fargo was named "Most Respected Bank" by Barron's magazine, "Most Admired" among the world's largest banks by Fortune magazine, and "Best U.S. Bank" by The Banker magazine. Our vision: "We want to satisfy our customers' financial needs and help them succeed financially." If you or your business supports the arts in our community, and is interested in becoming an official sponsor of Choral Arts of Southern New Jersey, please contact us below.